Since all grapevine wreaths can vary a bit in their shape, take a moment to lay out your clover in various places and envision where it might work best while still leaving space. Attach the clover to the grapevine wreath using florist wire. Simply thread a piece of wire through the front of the clover through the grapevine wreath and twist. Then cut off any excess wire. Continue adding as many pieces of wire as needed until the clover feels sturdy. Next, add a bow. 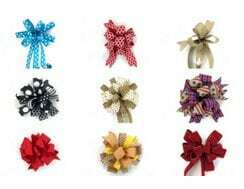 I made my popular funky bow out of 5 different ribbons with 12 inch loops following these instructions. Note: When you’ve finished your bow, secure with florist wire and push all the bow tails to the back and loops to the front. 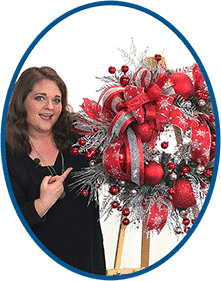 Add your bow to the wreath with florist wire. I added mine to the top left corner of the wreath. Don’t forget to fluff your bow! Now it’s time to add the greenery and silk flowers. I started with three long pieces of bamboo and secured them with hot glue under the bow. Next, I continued adding greenery and white flowers around and under the bow, attaching each one with hot glue. If you purchased greenery or flowers on a bush, cut each stem and attach them to the wreath separately. Note: Look for flower and greenery colors that compliment the ribbon you used in your bow and use a variety of textures. When you are finished adding your silk flowers and greenery, trim any picks that may have poked through the back and you’re done. 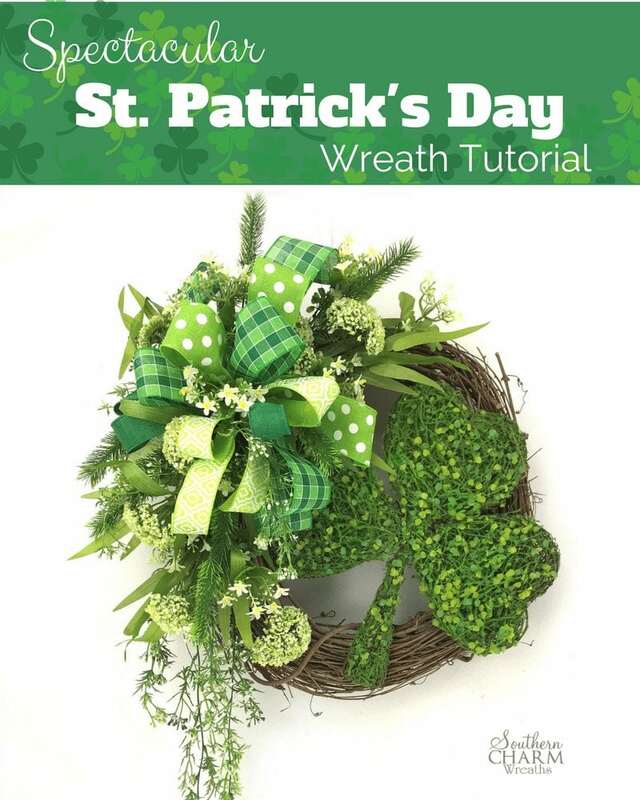 I hope you enjoyed this Spectacular St. Patrick’s Day wreath! It’s an easy way to brighten up your door for St. Patrick’s day. You could also hang this on a mirror over your mantle or in your entryway. Love your videos, thanks to you I have learn to make a funky bow which i just made my first one today for my Easter wreath…thank you again…. Love your wreath video. Your wreaths are beautiful, so eloquent, just over the top. Thank you for sharing. 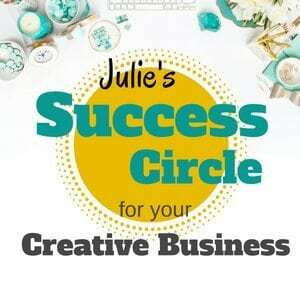 New to your site. Beautiful wreath. I so enjoyed watching you make it. Thank you so very much. I have just become a fan of yours and I am really enjoying watching your videos. 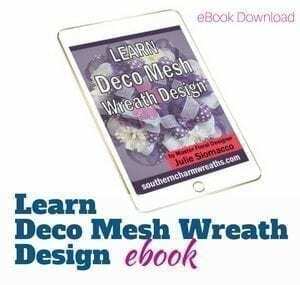 I have made the first wreath in your ebook and can’t wait to finish it so that I can send you a photo of how mine turned out. Such a cute wreath for St. Patrick’s Day! Loved your video and the easy tutorial. Thanks for sharing this with us. Will definitely need to try this. I think you are an absolute doll. This wreath is GORGEOUS. TALENTED!!!! !